Your podcast is a vital part of your marketing toolkit. It can help you promote your brand wherever your customer is: in the car, commuting to work, at home, etc. But in order to reach your consumers, you need a place to display your podcast and attract attention. While iTunes and other podcast hosts can do a good job, they are generally hard to rank highly on. Instead, you need to have control of your promotion and search engine ranking. One of the best ways to do this is to have a page on your site to integrate your podcast on. If you operate a WordPress site, there are many solutions. Below is a selection of the best. Very easy for quick videos. Many users are already familiar with YouTube. Difficult to implement for long videos. Videos can costly to produce. If you have video to go along with your podcast to promote on YouTube, you can simply use the URL of the YouTube video to integrate your podcast on a WordPress site. It is relatively simple, quick, and requires limited technical skills on your part. The challenge is that you then have to create and upload a video to YouTube. While this might sound simple, it is harder than you might imagine. Firstly, most YouTube accounts are limited to uploading a maximum of 15 minutes of video at one time. If you have a longer podcast, you would need to split it up, and this disrupts the user experience, though there are ways around the time restriction. Secondly, the costs of producing a video can be high, and the quality might reduce the impact of your message. Place media player anywhere on your page. Keep episodes organized easily from a single interface. Doesn’t work with some WordPress themes. This is one of the simplest solutions for publishing your podcast episodes on your WordPress website, and it's free. It offers you the ability to publish and distribute your podcast on landing pages of your choice. It includes a media player that can be inserted above or below any content you write on the page. The plugin collects the information from an RSS feed you might have on iTunes, Google Play or another podcast hosting service. It also adds a new podcast and series taxonomy so you can easily manage your episodes and multiple series through your dashboard. However, there seems to be little customization. Also, there are complaints that there isn’t enough support for the WordPress plugin and that some themes might not work. Files reside on Libsyn servers, not yours. Good customer and community support. Storage limited by membership level. Advanced options such as statistics and mobile app available only with higher-cost memberships. Libsyn is one of the most popular podcast hosting platforms. Their Wordpress plugin is one of the best on the market as it provides a host of features to make your podcasting easier. Firstly, it will enable you to post new episodes to your Libsyn account directly from your website. The RSS feed is automatically updated, and the podcast audio files are stored on Libsyn’s servers, so you save space on your server and don't slow down your website’s speed. This will save you time by allowing podcast episodes to be viewed from iTunes and your site as soon as you publish. In addition, you have the control to create new custom posts on your website to promote your new episodes. Libsyn will just handle the RSS and uploading in the background. One-stop solution for most podcasting needs. Can’t change style without using CSS. Deep statistics available only with paid plan. PowerPress is often one of the top plugins considered by newbie podcasters with a WordPress website. 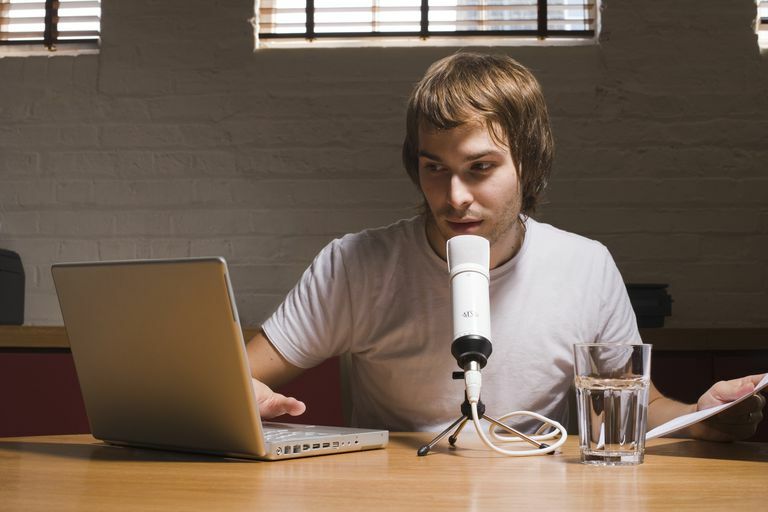 It offers everything you could imagine to startup, host and manage your podcast. The plugin allows your WordPress site to publish MP3 files directly, allowing your site to become a podcast host. The plugin then generates the podcast feed, enabling listeners to subscribe and stay up-to-date with the latest episodes. The plugin supports a number of RSS feeds including RSS2, iTunes, ATOM and BitTorrent RSS. If you want listeners to enjoy your podcast straight from the website, that is easily managed through their integrated HTML5 Media Player. Finally, you can embed media from YouTube. PowerPress also gives your podcast help with search rankings. It provides useful SEO settings that enable your podcast to be discovered better on Google, Bing, and the iTunes directory. You can use the podcast editing tools to make your podcast episodes sound more professional and use migration tools for moving from other hosts/plugins. Finally, you can see how many people are showing interest in your podcast via their free Blubrry Media Statistics. Lots of features for both podcasters and listeners. Advanced features require a paid plan. MP3 is the only supported format. A premium solution that is more suitable for larger or commercial podcasts, this is an attractive player that can be installed on your WordPress site. The developers of the plugin promise to accelerate your podcast traffic, downloads and provide tools for boosting subscriber growth. The player is beautiful and fits seamlessly onto a website page. This can be customized, and because it is a premium plugin, there is considerable support to help. It also supports feeds from many hosts including SoundCloud, LibSyn, and others. For promotion, the display of episode descriptions are professionally displayed, and you can add on a list of current and previous episodes to the sidebar. Smart Podcast Player also offers a top-of-the-line user experience. Listeners can stream from your website or download to listen to your podcast later, and new listeners don’t have to subscribe. They can sample your episodes and share them with their social media followers. The advanced options allow you to have a mobile-friendly version, something that is important with Google’s new rules for ranking web pages. Automatic updates are also available. There is a free version of the software, but this has limited features, and other solutions probably offer a better deal. The advanced options come with a yearly subscription. Automatically updates site whenever you publish. As the name suggests, Simple Podcast Press is easy to configure, but the impact it can offer to your WordPress website is powerful. To set up your podcast on your website with this plugin, you simply enter your URL from iTunes or SoundCloud. The plugin will take care of the rest. For each episode, a new, unique page is created with a mobile-friendly player inserted. Your full description of the episode is also inserted into your new podcast announcement page. If there are any images in your podcast feed, these are also inserted. This basically means that anytime you publish new episodes, your site will be automatically updated. Therefore, this powerful little plugin will help you save time. Free version limited to two hours of content per month, which is deleted after three months. This is another premium solution to podcast hosting, but there is a free WordPress plugin to help share your episodes online. The actual website software offers support for iTunes, HTML5 players and provides statistics. Their free plan allows two hours of podcast episode publishing a month, but episodes are deleted after just 90 days. If you want episodes to last forever, then you need to pay a monthly fee. The plugin has a simple migration tool for moving your podcast over from another server and gives powerful insights with their statistics. But there is little to help you use the podcasts on your site other than an HTML5 player. Complete control over styling and settings. No option to upload in bulk. Can't download episodes from server. Podlove Podcast Publisher makes it easy to add your podcast episodes to your WordPress website. This plugin generates efficient, properly formatted podcast feeds for your website. You have detailed control over how the client (e.g. iTunes) will load and operate the podcast. This saves you from losing episodes or having a poor display which can happen with older clients. There’s also a few neat features for your podcast publishing that include adding chapters and flexible templates to customize your podcast and make it truly unique. Simple to use, but full-featured. Limited space with free version. Not enough templates to choose from. A full-featured service/software solution for adding your podcasts to your WordPress site. Cincopa can add many formats of media to any website. For WordPress, their plugin gives you a customizable player. While this doesn’t sound full-featured, there is a lot of work that goes on in the background. The service they offer aims to streamline the podcast publishing process giving you peace-of-mind, enabling you to concentrate on what you do best -- creating podcast episodes. To publish through their plugin, you pick a pre-designed look for your player, upload your podcast episode file to your account and then use a generated code to embed into your WordPress site on a page of your choosing. This plugin, while useful, is probably not for those who frequently podcast but rather produce a podcast as and when they can. However, it also means your SEO for the podcast and your website is completely on your merits, and this can damage your search ranking.